Will this week be THE week? Well that certainly took a while. Box CEO Aaron Levie’s self-deprecating tweet on the day that the cloud-storage startup he co-founded in 2005 announced it was back on track to go public after months of delays pretty much summed up the collective enthusiasm of the tech community that’s been observing Box throughout the past year. What seemed like a reason for the company to celebrate back in the spring of 2014 when the [company]Box[/company] made public its plans for an IPO turned out to be an elongated stretch of time that saw, among other things: Box wavering on its IPO plans on numerous occasions; raising a significant investment round; and unleashing a new product line that the company is hoping will make it a significant threat to competitors like [company]Google[/company], [company]Microsoft[/company] and [company]Citrix[/company]. It seemed like Box was just waiting for that perfect time to take the company public, and Levie even told Bloomberg Television in December that Box “should not have filed when we did,” citing a “market correction” that affected technology stocks. But Box took advantage of the delay to work on its business. It’s tried to position itself as a serious player in the hot work-collaboration space, and the performance of its IPO could validate that strategy. However, Box is not alone in the burgeoning field of work-collaboration, which appears to be one of the areas the cloud giants of Amazon, Google and Amazon will be battling for supremacy in now that the storage price wars seemed to have abated (for now). And, of course, it faces stiff competition with longtime rival Dropbox, who has made a similar push to invade the workspace through collaboration features. Box is expected to go public this Friday, although a company spokesperson declined to confirm the exact timing. Will Box’s new enterprise product line and, as company filings show, an increase in revenue be enough to satisfy the stock market? To answer this question, let’s take a look at how Box got to where it is now, starting from last spring. 2005 – Aaron Levie shared his idea about an online file storage system with Dylan Smith, his ultimate co-founder. The pair cold-called Mark Cuban and landed $350,000 in an angel investment to start Box.Net. 2007 – Box launched OpenBox, its platform connecting Box.Net with other web apps. 2008 – Box received $6 million for its second funding round. 2009 – Box pivoted from being consumer-oriented and begins its enterprise push. It also picked up $5.1 million in April followed by another $7.1 million in funding in October. 2010 – Box landed another $15 million in funding in its Series C.
2011 – Box committed $2 million to Box Innovation Network (/bin) to encourage developers to build apps on the platform. continued to roll in cash with two Series D rounds: the first raking in $48 million in February followed by an additional $81 million in October. 2012 – In a Series E round, Box took in $125 million and it was projected to go public sometime in 2013. 2013 – Box began its enterprise push by adding HIPAA compliance and debuting Box Notes, a note-taking tool. It also kicked off the year with a $25 million Series E continuation before it grabbed an additional $100 million in funding in December as it ramped up its Box for Enterprises product. March 2014 – Box publicly filed for its IPO (after it had been rumored in January). April 2014 – Box delayed its IPO, citing bad tech markets, as rumors swirl of a buyout. July 2014 – In an unusual move, Box brought in another $150 million in pre-IPO funding and pushed off its IPO until at least after Labor Day. October 2014 – Box once again delayed going public and eyed 2015 (this time correctly) for its IPO. January 2015 – Box updated its S-1 to confirm its intention to go public. 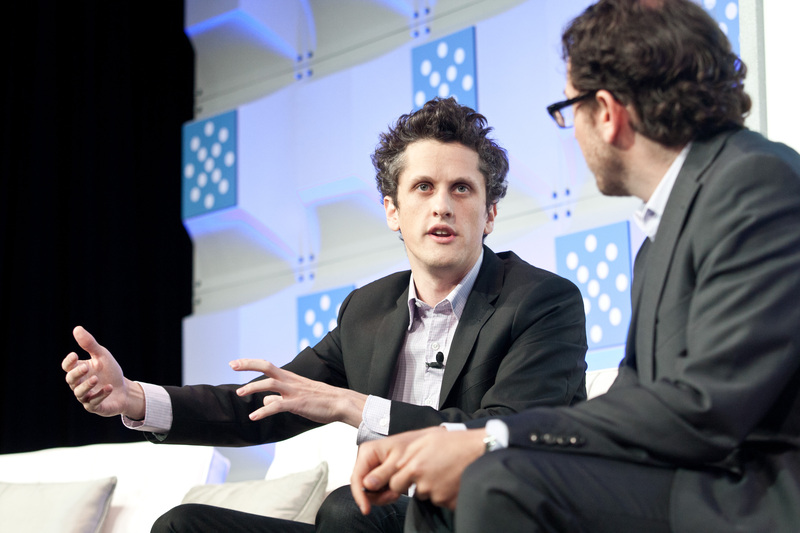 Box’s long road to an IPO began in earnest in March 2014 when the company filed the necessary paperwork with the SEC to get the gears in motion. A poor-performing marketplace put Box’s IPO plans on hold, but by early summer Box celebrated the fact that it landed General Electric as a customer, which would have 300,000 GE employees using the Box platform. If you were wondering why Box was spending so much on sales and marketing, in September Box had an answer: Box was working on a new product line that’s essentially a custom version of the Box platform that accommodates the needs of different industries, like retail, healthcare and media and entertainment. As Gigaom Research’s Stowe Boyd told me, in order to sell these products Box needs a big sales staff that’s well-versed in different industries, especially as it aims to capture legacy clients that are part of regulated industries like healthcare. Because companies like [company]IBM[/company], [company]Citrix[/company] and [company]Microsoft[/company] likely have been doing business deals with large companies in different industries for quite some time, it’s likely that they have sales teams that can speak the lingo. Box has had to build that (and is likely still building it), requiring it to invest a significant amount of money in sales and marketing staff that have the appropriate skill level and knowledge to capture new clients. In September Box also detailed an upcoming Box Workflow tool that it’s banking will be a hit in the workplace collaboration space; the product will include features like allowing companies to create timed notifications for time-sensitive documents, which Box will then ping the appropriate user though email or mobile device to address. After making its product announcements, it seemed like fall was indeed the time for Box to go public as Alibaba’s huge IPO seemed like the right time to pounce on the market. Alas, the tech market took a bit of a downturn after the IPO and Box found itself again pushing back its big date with the public marketplace. By mid-December, however, with both Hortonworks and New Relic both going public and becoming billion-dollar companies, the marketplace seemed stable enough for Box to finally reach the public market promised land. This time around, Box is serious about going public, and in January the company detailed in its updated SEC filings that it’s planning to raise $186.9 million on Wall Street at a company valuation of $1.5 billion. The company doesn’t want to appear overconfident and end this drawn-out process on a “sour note,” he said. Box has been growing in revenue per year since its founding and in 2014, it brought in $153.8 million in revenue for the nine-month period ending October 31; the prior year, Box took in $85.4 million in revenue. As for losses, Box’s net loss went down from $125.2 million in 2013 to $121.5 million in 2014 for the same nine-month period that ended on October 31. The good news is that Box’s net loss seems to have slowed down compared to its revenue, but the company is still spending a healthy amount of money on sales and marketing, which in 2014 for the nine-month period ending October 31 was $152.4 million as compared to $124.2 million in 2013. With a new product line geared for specific industries, it’s clear Box will continue investing in sales and marketing to attract more clientele. In January 2013, the company had 689 employees and by the end of October 2014 it had 1,131 employees; it’s safe to assume that a good chunk of those new employees are sales and marketing people and as the company goes after more industries, like legal and financial, it’s only going to need to hire more. It will be worth watching what the company plans on doing with the $186.9 million it expects to raise and whether any of that cash will be used to pay off some of its accumulated deficit, which according to Box’s latest SEC filings, is at $482.7 million. The SEC filings also show that Box plans to continue making “significant investments” into datacenter infrastructure, which is by no means a cheap investment; Google’s big data center in the Netherlands might cost the company $772 million, for example. Although to be fair, Box probably won’t be building anything to match Google’s scale just yet. And therein lies Box’s big dilemma–it’s going to be hard to match the scale of companies like Google, Amazon or Microsoft. These companies can invest millions and millions into data centers and new products and Box doesn’t have nearly the amount of cash to compete dollar per dollar like those companies have been doing with each other. The work-collaboration space is not where the three cloud giants are all deriving their primary income; that’s more of an ancillary feature that they can add to their cloud storage platforms as a way to further entice enterprise clients. Forrester’s Koplowitz thinks Box has made a lot of progress on building features that distinguish it from rivals and that the company has clearly become more than just a cloud storage vendor. However, it remains to be seen if the company can make money on this path. Dropbox faces a similar dilemma as Box, but it has an enormous user base and is prevalent among consumers who might be using Dropbox at work even though their office might encourage the use of a corporate storage account. And then there’s Slack, a rising enterprise startup that’s gotten a lot of traction and seems poised to be a big player in the work-collaboration space. Its workplace chat service has been the talk of the town for users and developers, and it seems as if it’s also a trojan horse of sorts; in that once Slack infiltrates a client through chat, there are so many avenues it could infiltrate to make work a better experience for its users. In September, the company bought the small startup Spaces, whose central technology is a customized document that users can collaborate together with on editing, graphics, annotations, etc. Sound familiar? That’s because Box, Dropbox, Google, Amazon and Microsoft have all been working on similar projects. The big takeaway from Box’s IPO is that the company is not going public as merely a file-sync-and-share company, but rather as an “enterprise content collaboration platform,” as it describes itself in its SEC filings. The file-sync-and-share players have spent the past few years trying to get out of being merely cloud storage middlemen; Box rival Egnyte just this week said it wants to make a push into being a data management and analytics company. Now that Box seems confident as a solid workplace collaboration platform after a 2014 that saw the company see-sawing with its IPO plans, it has the products in place that could potentially attract more big, legacy companies like GE. Once a company goes public, the tolerance for big losses can fade away and you can look at Amazon as an example of a cloud company in bad graces with Wall Street. Box can continue putting in its “non-profitability disclaimer” in its SEC filings, but that’s more than likely not reassuring to the marketplace. Investors who take the plunge Friday are hoping Box can reel in the big clients and stave off any attacks from the big-cloud providers or legacy IT companies who are eyeing the same customers. We’ll have to wait until the end of 2015 to see how that plays out.